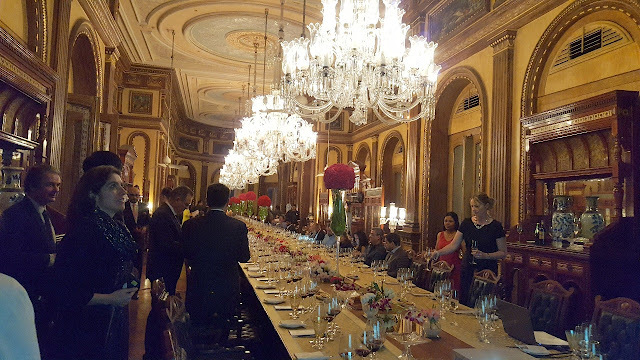 A wine tasting session of some of the best wines from Bordeaux was organized by Bordeaux Metropole with the support of Consulate General of France and Alliance Francaise Hyderabad at the Taj Falaknuma Palace on 7th February. The event gave a chance to the wine aficionados of the city to try out some of the best red and sweet white ones of the region. 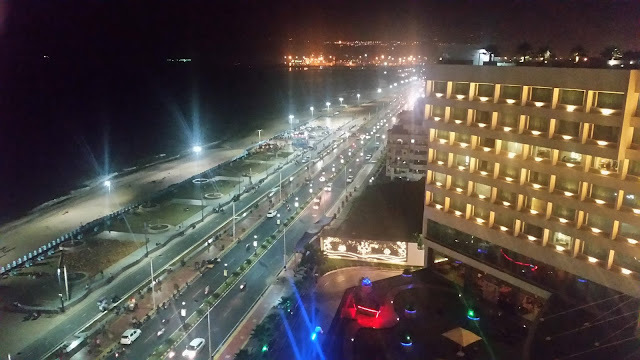 From a small base, India is growing fast as a consumer of wines, and there is a lot of recent interest in wine tasting, as well knowing the finer nuances of wine drinking in recent times. I know quite a few persons in my friend circle who are training to qualify as certified sommeliers. Wine clubs and societies are coming up in cities, the Hyderabad Wine Society here is an example. Against this backdrop, this session was a welcome step. 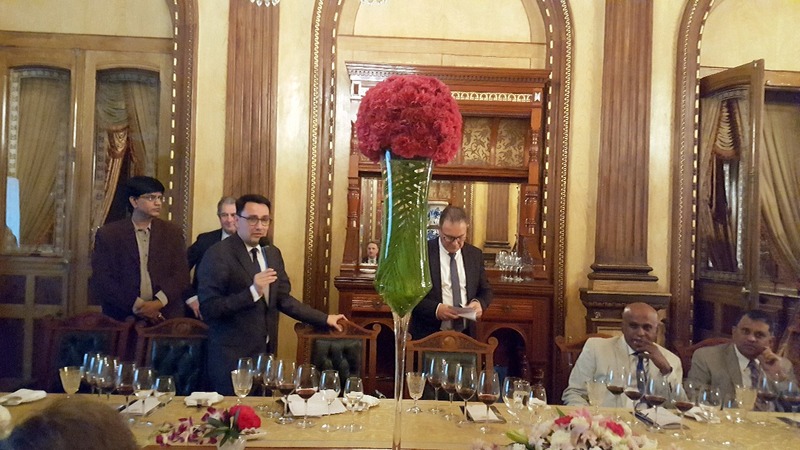 The Ambassador of France Mr Alexander Ziegler and Mr Micheal Vernajoul, the representative from Bordeaux Metropole jointly hosted the event. The session held at Durbar Hall started with the Ambassador talking about the history of Bordeaux wines as well as the classification known as Grands Crus Classes En 1855. 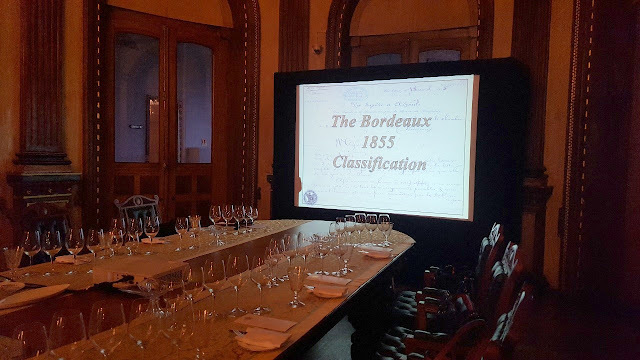 This classification was requested by Emperor Napoleon III, to rank the best Bordeaux wines. The wines were classified into divisions known as crus classes. After the presentation on the classifications, it was the time for wine tasting. 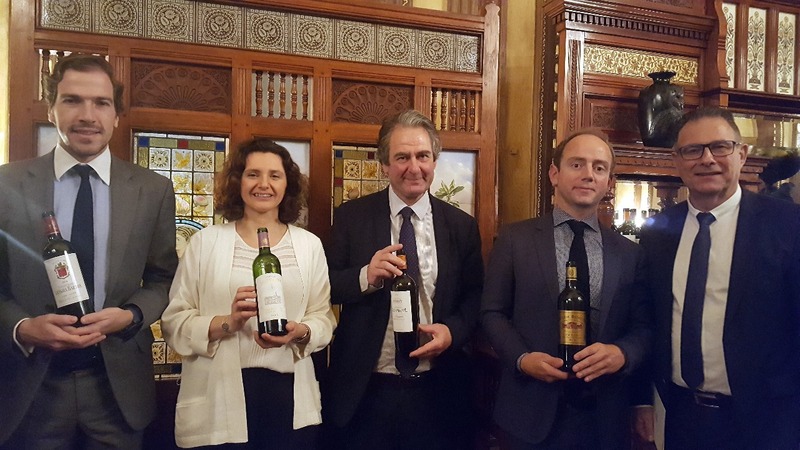 Six different wines from four chateaux were presented by their respective representatives. The first four were red wines already served on the table, whereas the last two were sweet white wines poured during the presentation. Chateau Desmirail Margaux 2010 was the first one introduced by the representative of the chateau. A blend of Merlot and Cabernet Sauvignon, the drink seemed high on tannins. This was followed by Chateau Lascombes Margaux 2009, Chateau Langua Barton St Julien 2012 and Chateau Batailley Pauillac 2011, each being introduced by their respective representatives. The concepts of wine tasting like nose, swirl, taste and finish were being applied by knowledgeable persons around me to take down tasting notes about the various wines. 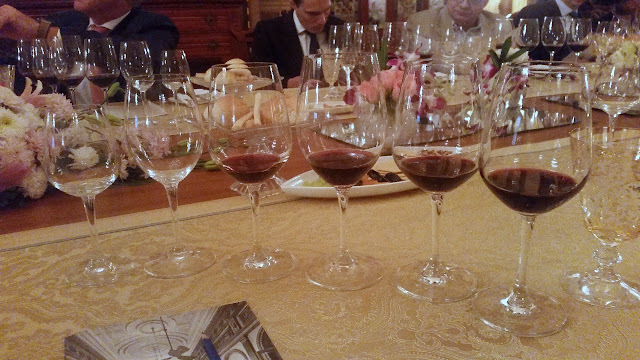 For me, the best among the reds was Chateau Batailley Pauillac 2011, which was the most balanced. The Bordeaux white wines are golden in colour and sweet. 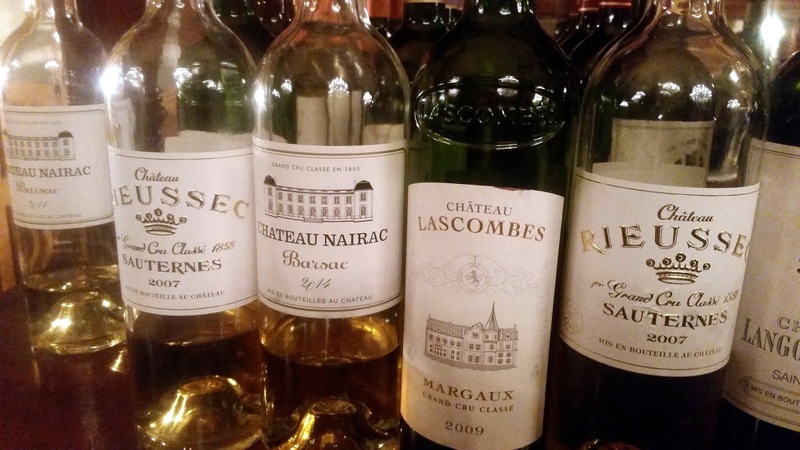 While Chateau Nairac Barsac 2013 provided a nice and smooth finish, Chateau Rieussec, Sauternes 2007 made from a variety of raisined grapes was too sweet for my palate. At the end of the program, the representatives of the chateaux met the participants to answer any of their queries. 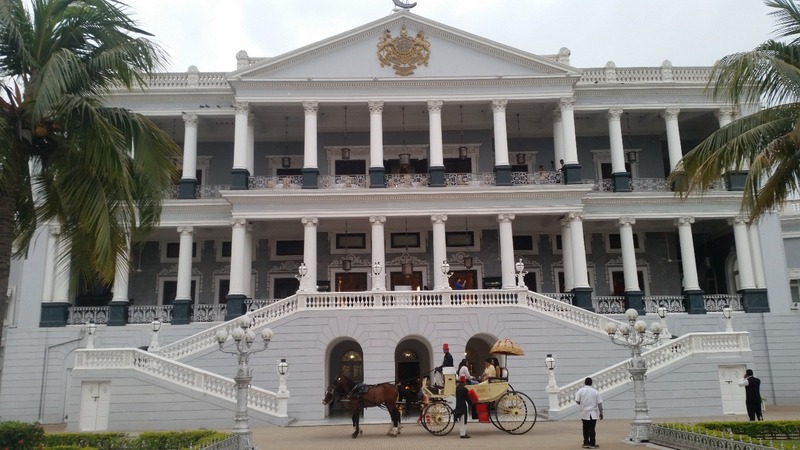 The initiative needs to be lauded as this would serve as a much-needed impetus to the small wine community of Hyderabad. It will be great if other winemakers take a cue from this and organize such educative sessions.